Stanton Homes, a Raleigh custom home builder, has won "Best Of Design" and "Best of Customer Service" three years in a row on Houzz®, the leading platform for home remodeling and design. 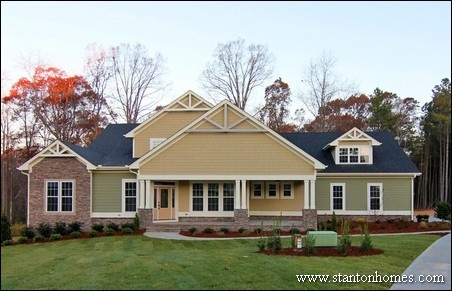 Stanton Homes has been design/building high quality custom homes in the Raleigh/Durham/Chapel Hill area since 2006. Stanton Homes was chosen by the more than 40 million monthly unique users that comprise the Houzz community from among more than one million active home building, remodeling and design industry professionals. Customer Service honors are based on several factors, including the number and quality of client reviews a professional received in 2016. Check out the “Best Of Houzz 2017” badges on our Houzz profile, as a sign of our commitment to excellence in custom home building. Follow Stanton Homes on Houzz. The award winning team at Stanton Homes works closely with clients throughout the custom home build, with personal interaction with your builder, project manager, designer, production manager, coordinator, and sales consultant. Houzz is the leading platform for home remodeling and design, providing people with everything they need to improve their homes from start to finish – online or from a mobile device. From decorating a small room to building a custom home and everything in between, Houzz connects millions of homeowners, home design enthusiasts and home improvement professionals across the country and around the world. With the largest residential design database in the world and a vibrant community empowered by technology, Houzz is the easiest way for people to find inspiration, get advice, buy products and hire the professionals they need to help turn their ideas into reality. Houzz and the Houzz logo are registered trademarks of Houzz Inc. worldwide. For more information, visit houzz.com.